Christian White is an Australian author and screenwriter whose projects include feature film Relic. An early draft of The Nowhere Child won the 2017 Victorian Premier’s Literary Award for an Unpublished Manuscript, and rights were quickly sold into fifteen countries. 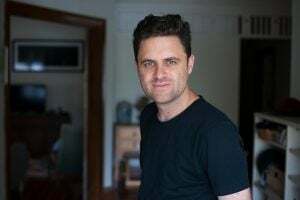 Born and raised on the Mornington Peninsula, Christian had an eclectic range of ‘day jobs’ before he was able to write full time, including food-cart driver on a golf course and video editor for an adult film company. He now spends his days writing from home in Melbourne, where he lives with his wife, filmmaker Summer DeRoche, and their adopted greyhound, Issy. He has a passion for true crime podcasts, Stephen King and anything to do with Bigfoot. The Nowhere Child is his first book. He’s working on his second. There was hardly any comfort in playing her private game, because like so many things in Carrie’s life, it was sinful. Or so her mother said. Carrie could make things move–by concentrating on them, by willing them to move. Small things, like marbles, would start dancing. Or a candle would fall. A door would lock. This was her game, her power, her sin, firmly repressed like everything else about Carrie. Vonnegut’s first novel spins the chilling tale of engineer Paul Proteus, who must find a way to live in a world dominated by a super computer and run completely by machines. Paul’s rebellion is vintage Vonnegut-wildly funny, deadly serious, and terrifyingly close to reality. Special mentions: The Dry by Jane Harper and Wimmera by Mark Brandi. Greatly enjoyed reading the Nowhere Child it has lots of mystery and intrigue. I often stay for the credits at a movie I like and to check details. I also read every word in this compelling novel and hope there will soon be another one.